Have you ever seen a home with plants actually growing out of the gutters? You can be sure that those gutters are so clogged that there’s enough soil inside to grow healthy plants. The sight is truly funny -sad, but true. The last thing anyone thinks about is their gutters. 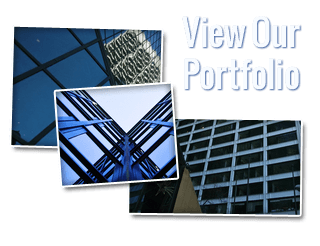 It’s unfortunate because they are one of the most significant components on the outside of a home. This is because they drain water off of the roof and away from the house. Water can be damaging to the siding, the foundation, the patio, and other exterior areas of a home. The gutters are an intricate component of the home. They are more than a strait piece of metal that filters rain off of roofs. Attached to the gutters are the downspouts. Every part of the gutters has a job to do or water runs and pools in areas where it is bad for it to do so. Water becomes very heavy when it backs up into the gutters and combines with dirt and debris. Before you know it, all that rainwater is washing grime down the gutters and side of the building. As this occurs, the gutters will often pull away from the fascia as the system deteriorates. This problem will damage the wood which will then need to be replaced by a professional roofer. Water can also cause wood rot which eventually leads to mold development. As the gutters clog and water pools and rises in the gutter system, it will be able to get up under the roof shingles. With a clogged gutter, water falls into areas where you don’t expect it to. Falling water makes these areas slippery and you risk falling. Keeping the gutters clean will avoid walking paths and sidewalks free of water where there’s a potential for slip and fall accidents. The average lifespan of a gutter is about 20-30 years. A professional will help lengthen the lifespan of a gutter by cleaning it. It is the maintenance that you need for more longevity. Without a proper cleaning to the gutters, you will have to replace them in five years. Your clog may appear to be invisible as we cannot always see what is going on with our gutters. Hidden damage can cause huge problems with your gutters and interior. Call USA Gutter Pros whenever you need a Las Vegas gutter cleaning and have a longer lasting gutter system. 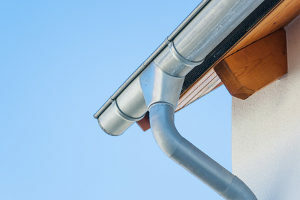 Many gutter jobs are too big for the average homeowner. Safety is always a concern for homeowners. If you’re afraid of heights and hate the fact that your gutters are up so high; don’t risk it, call a professional Las Vegas gutter cleaning service like ours at Southwest Ultra Clear. Hiring someone to do the service for you may add a little expense to the budget, but it is well worth your personal safety and the protection for your home. If your gutters become clogged, they need to be cleaned. Have you taken a good look at the gutters? How long has it been since you’ve had them cleaned out? Putting it off is understandable because it can be a lot of hard work. However, there are reasons to get this cumbersome task done. If you have been ignoring them, the problem will fester to a degree that causes problems for your roofing, siding, and home foundation. Professional gutter cleaning service like ours at Southwest Ultra Clear will make it easy for you. If you live in Las Vegas and need gutter cleaning, call us for a competitive estimate! 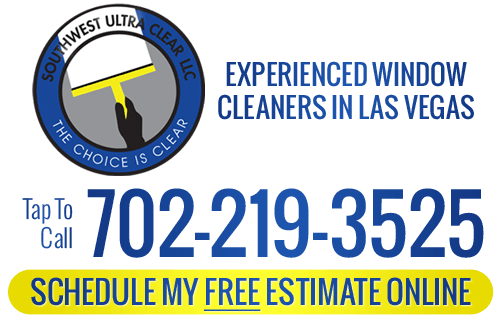 If you would like to learn more about our Gutter Cleaning Service in Las Vegas, please call Southwest Ultra Clear at 702-219-3525 or complete our online request form.